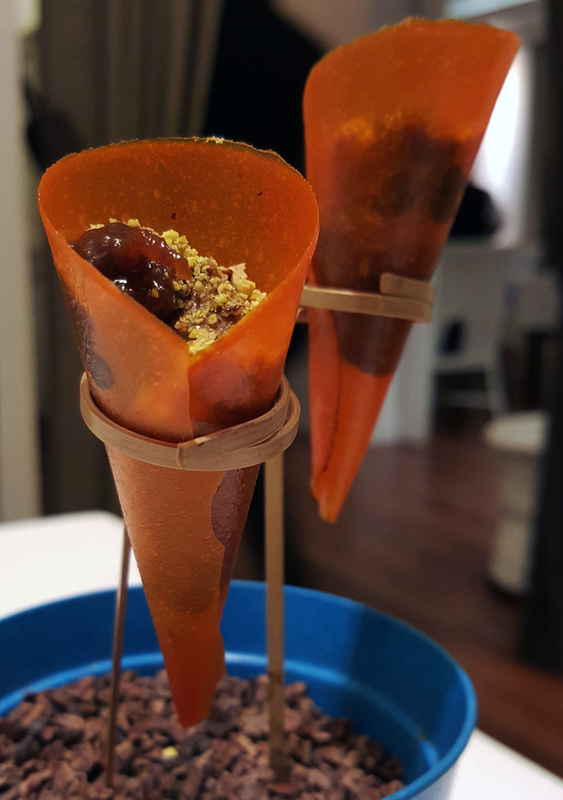 WOW , So Gaggan pulls it off once again. An Indian restaurant sat surrounded by thousands and thousands of Thai food outlets in the huge city of Bangkok. 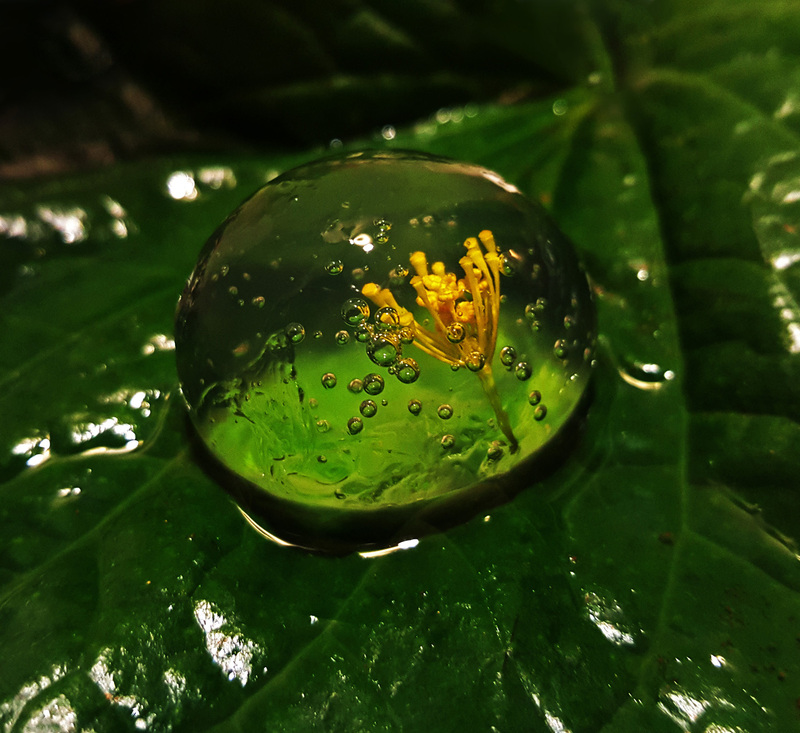 Of course that`s just the small picture. 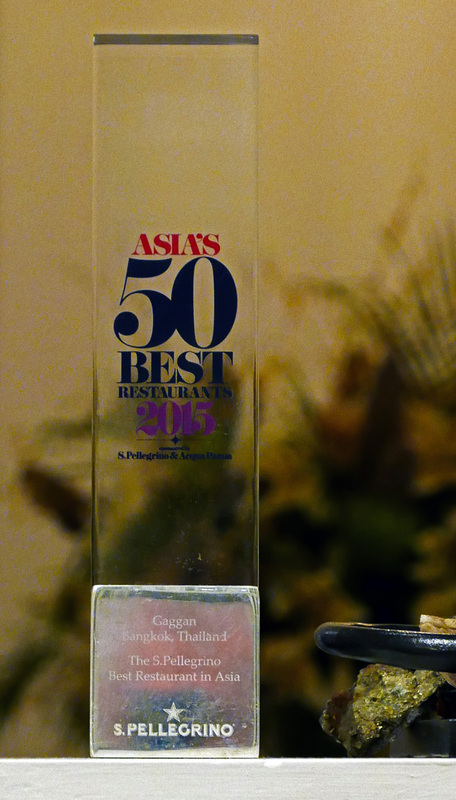 On a larger scale Gaggan Anand has managed to bag the top position for the second year running….The Best restaurant in the whole of Asia which when you stop to think about it that`s pretty good going. OK…So we all know the penalties for dodgy substance possession in Thailand. I wasn`t taking any chances incase I had been spotted so I ate the lot….plastic and all. 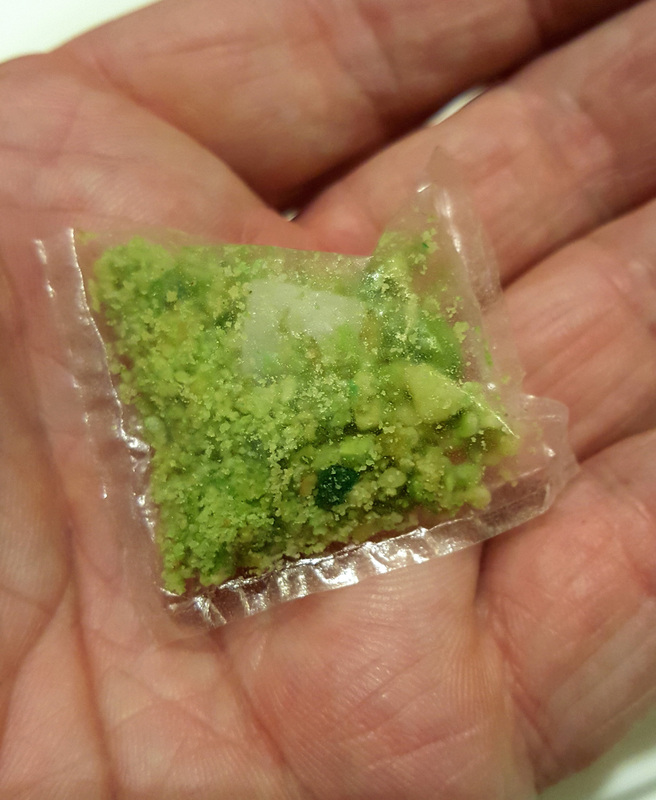 It turns out they were Edible Plastic Spiced Nuts , wrapped up in Rice paper….panic over. 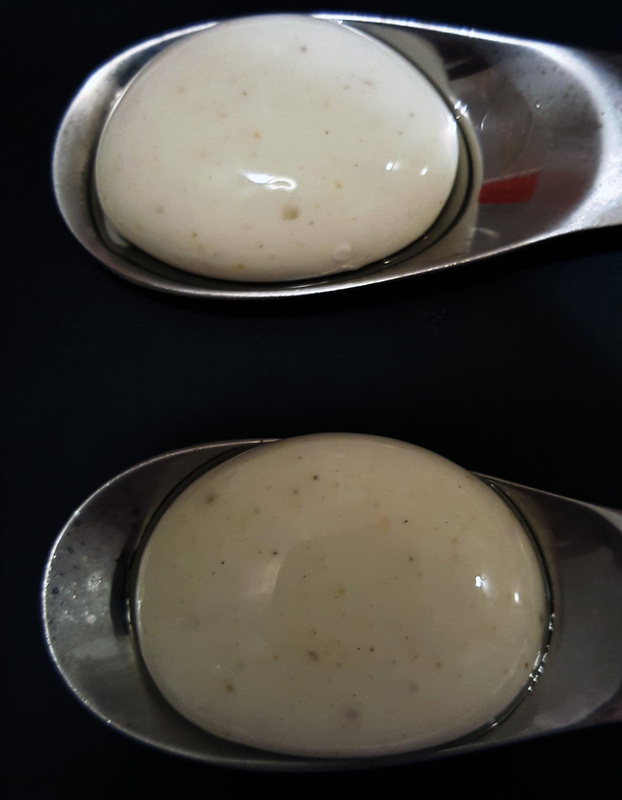 Yoghurt Explosion – Another spherification of Yoghurt and Cumin….This one was far to `Eggy` flavoured for my taste. 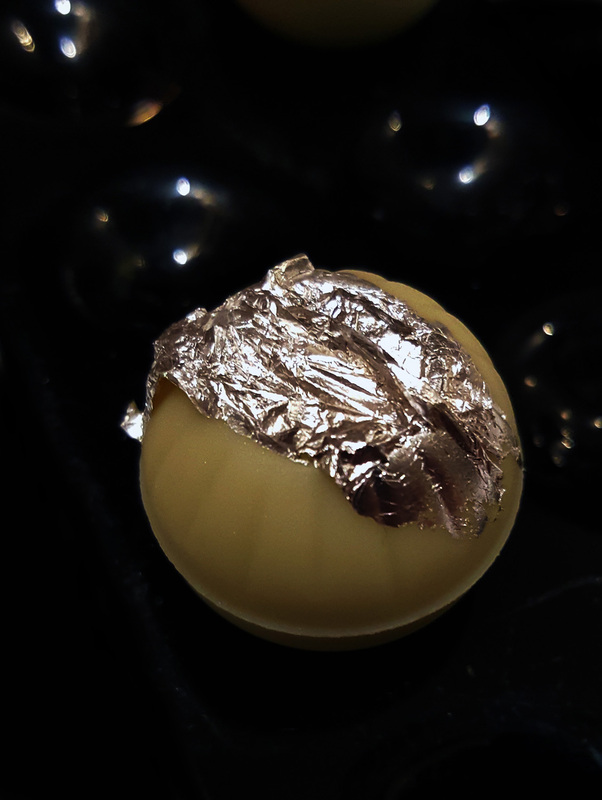 Chocolate Chilly Bomb – A White Chocolate sphere filled with Coriander water , Ginger , Chilli and Indian spices and topped with edible Silver. 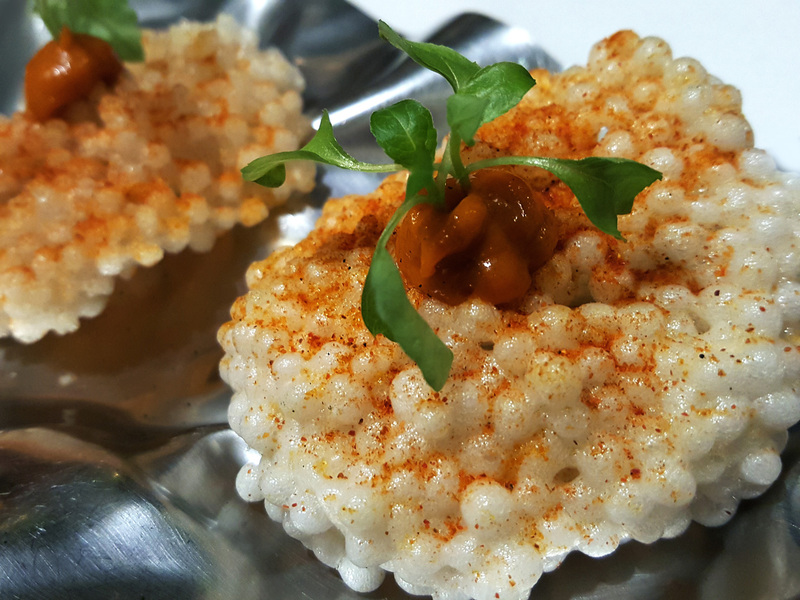 Papadam and Tomato Chutney – I`m sure these were made with Tapioca. 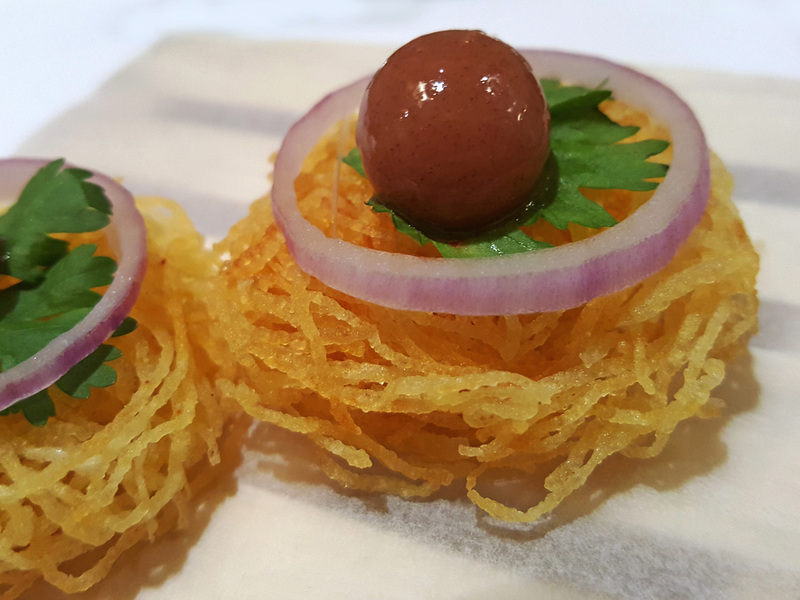 Birds Nest – Eaten in one .Potato nests topped with a spiced Date chutney egg. Onion Pakoda – Bengali Mustard and Nori Pakoda coated in Seaweed dust. 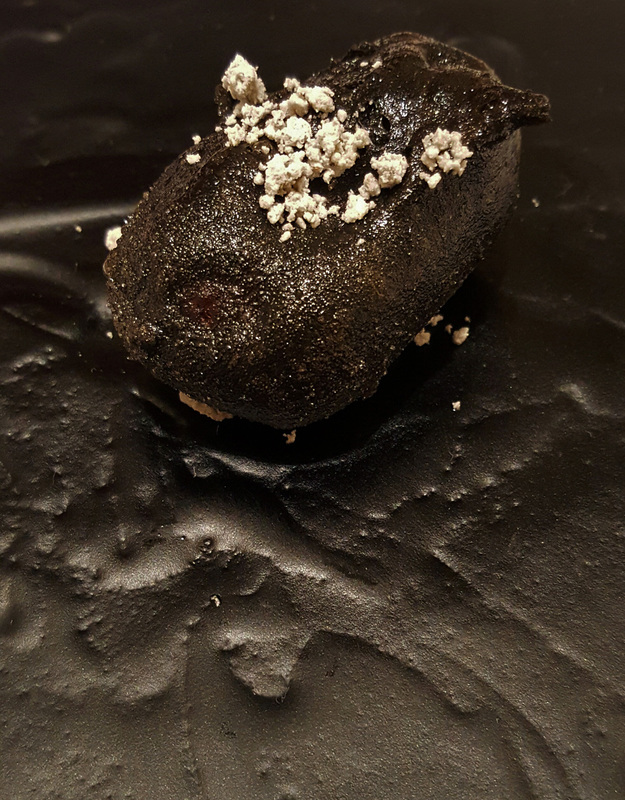 Charcoal – This came under a smoke filled glass dome. When the glass was lifted it revealed this. 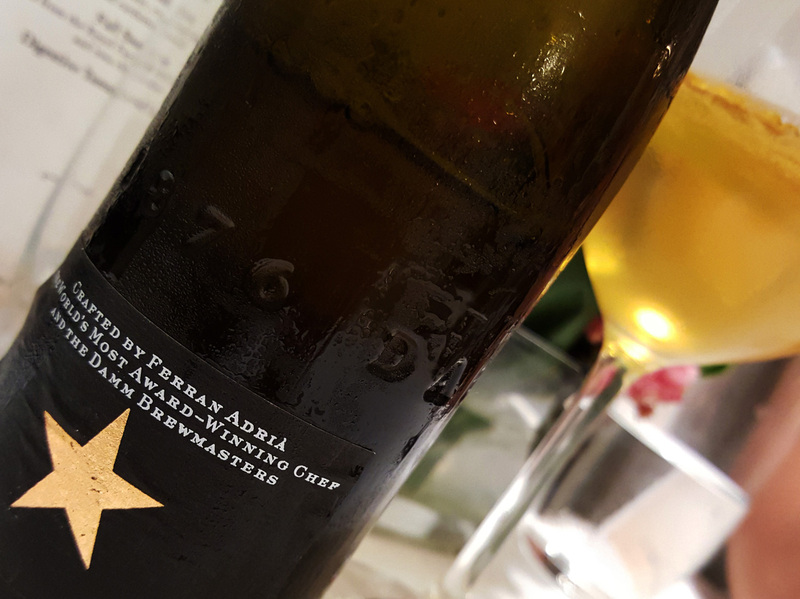 We had to guess what it was…..I still don`t know but it tasted fine. 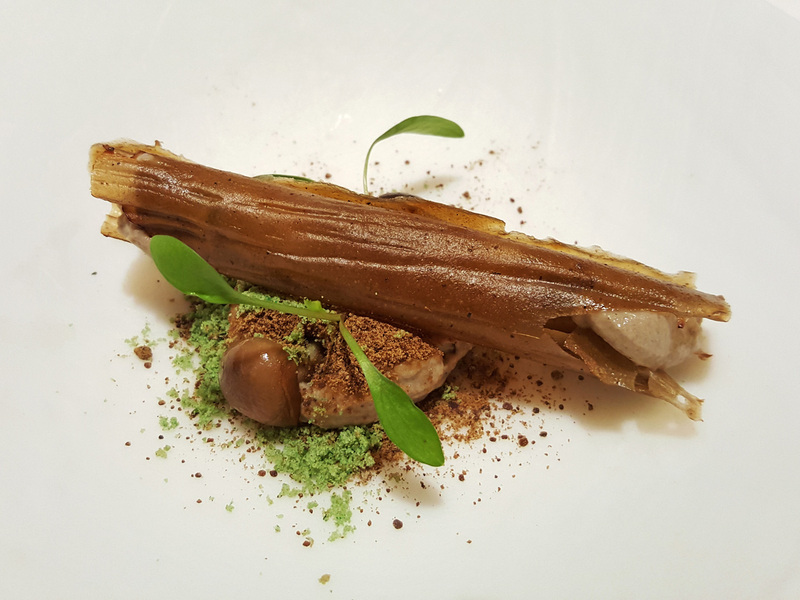 Magic Mushroom – Forest Mushrooms in the shape of a log with White and Black Truffle oil, edible Mushroom soil, and sprinkled with Green Chilli powder to represent the garden. This one was my most enjoyable course…I ate it very slowly. 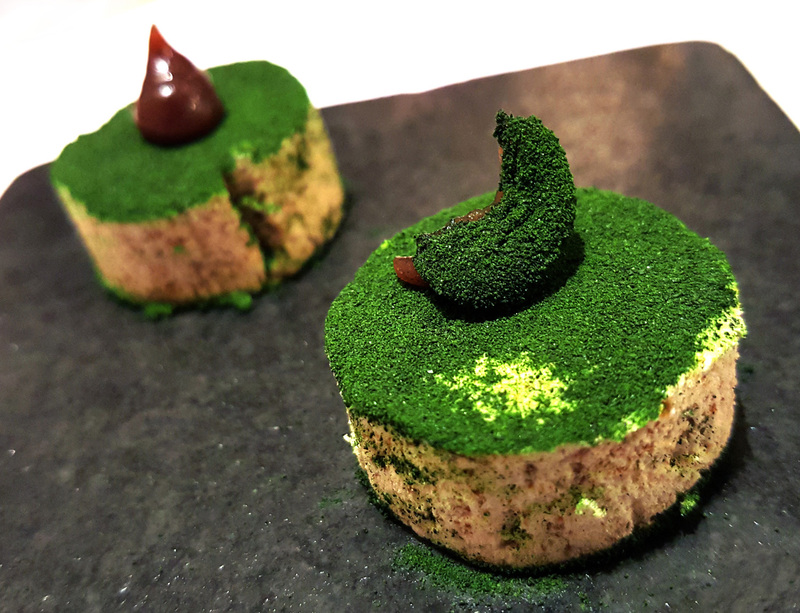 Red Matcha – This course mimics a Japanese Tea ceremony. The bowl arrives with a small salad of Tomato , Grapes and Star fruit sat in a little pool of Coriander oil. The idea was to eat this little refreshing fruit salad whilst the “Tea” was being prepared. 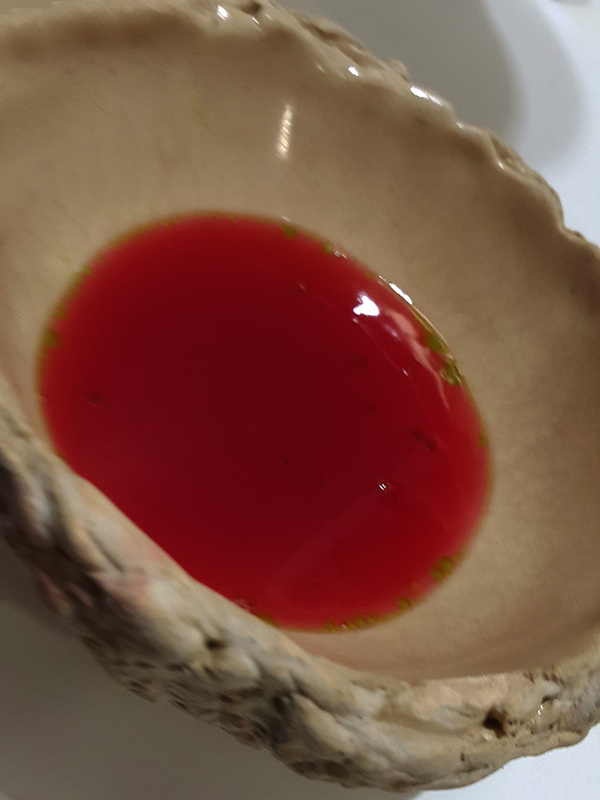 The teapot contained a hot Tomato consommé which was then mixed with dried Tomato powder.The “Tea” is then poured into the bowl so that it mixes with the coriander / fruit residue. 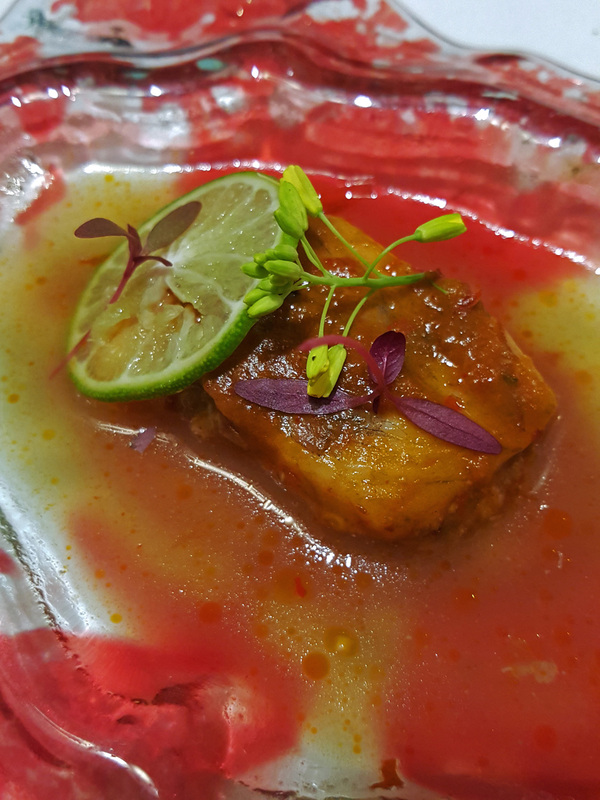 Patrani – Herbed Marinated Fish in edible leaves with Coconut Dashi. 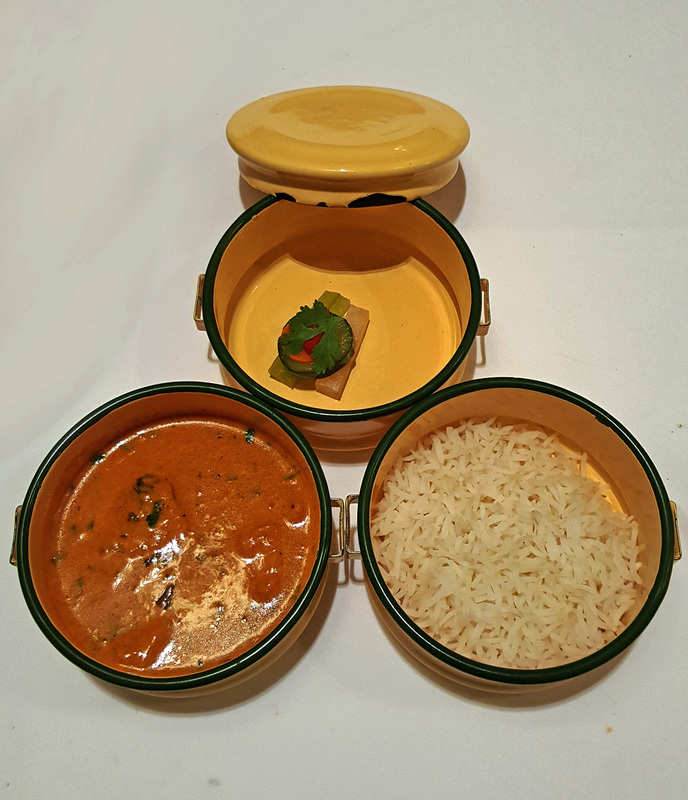 I want my Curry – Country Chicken in coastal Curry with steamed Rice. 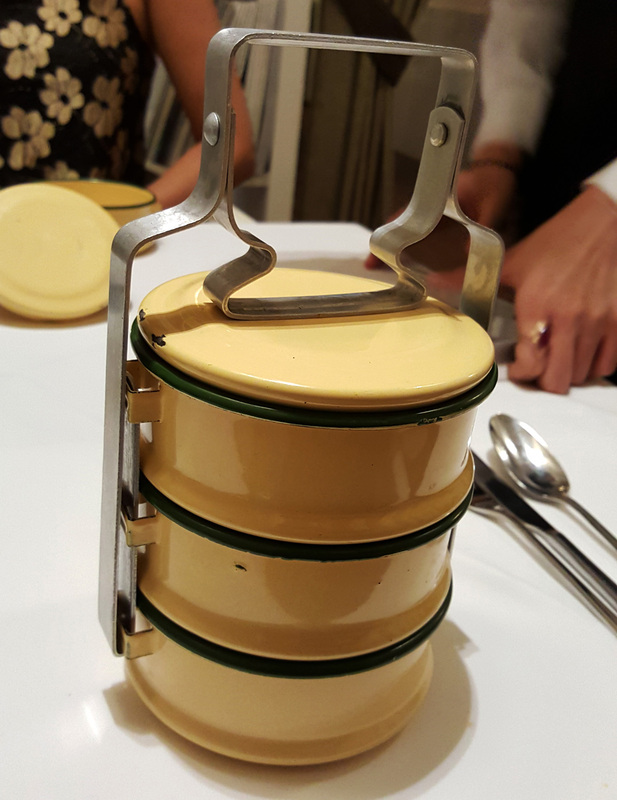 This course was brought to the table in traditional Indian style…In a Tiffin. I was really ready for this course as I was so hungry at this point. I would have loved a Nan Bread to dip into the Curry but sad to say there wasn`t any. 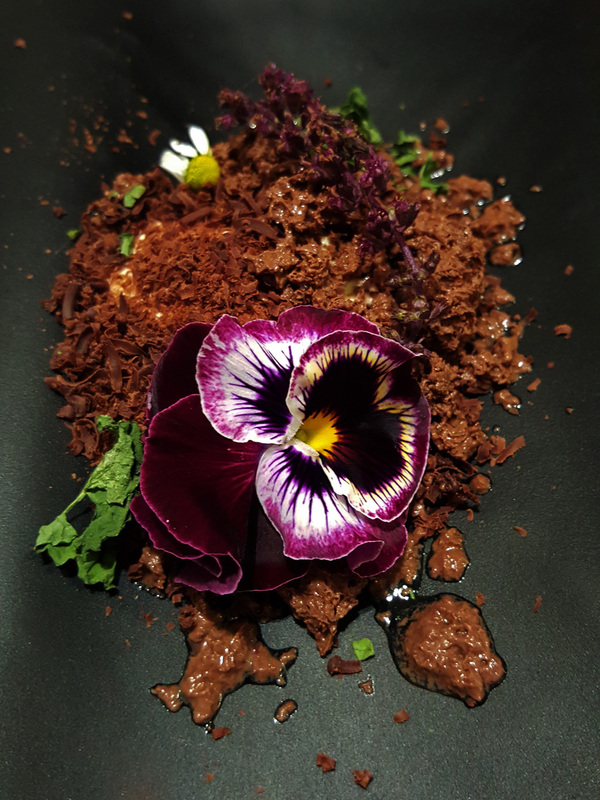 Gajar Halwa – Black Carrot ice cream , crispy Carrot flower and Cardamom oil. 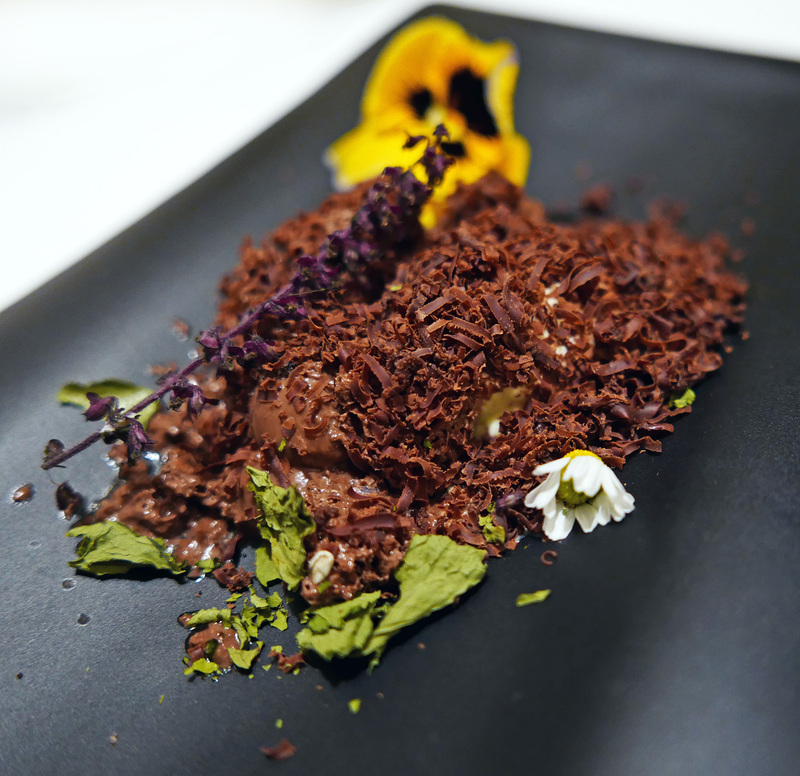 Fall Season – Leaves and flowers from the Royal Farm with Basil ice cream and 70% Chocolate. 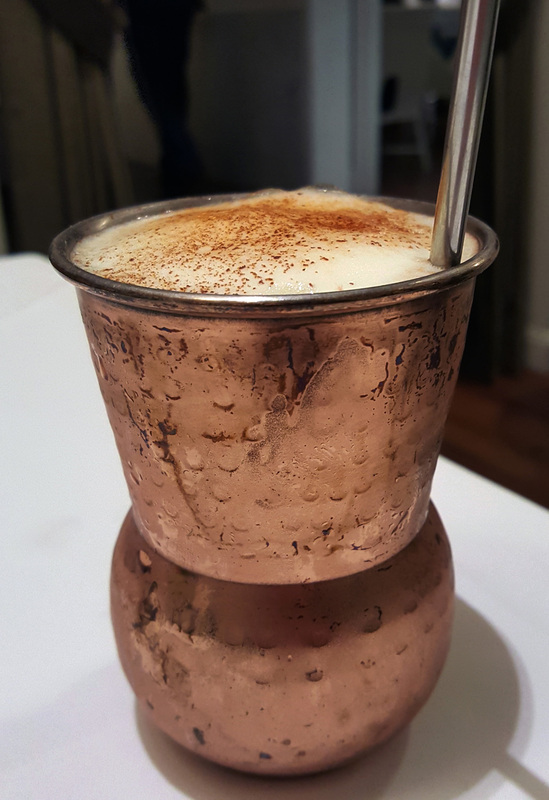 Digestive Tamarind Leather. 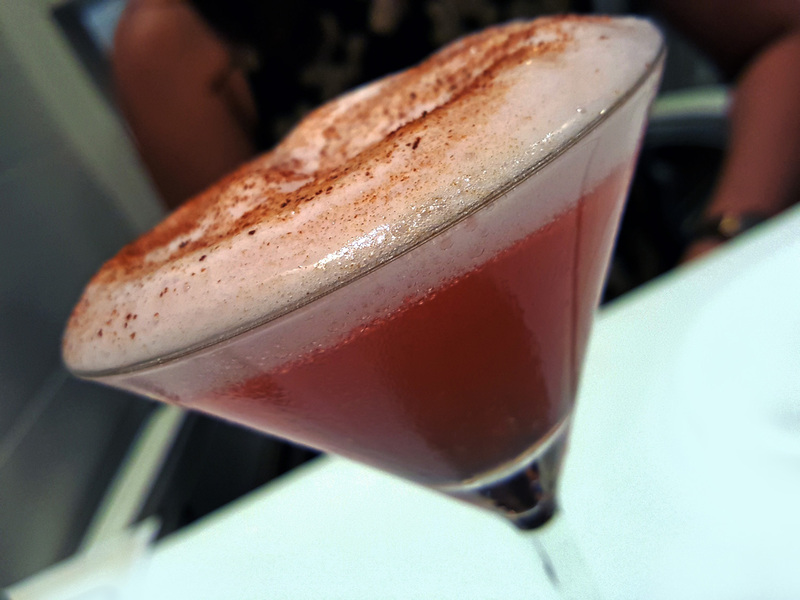 – A Tamarind flavoured dried fruit puree. Time for the bill. 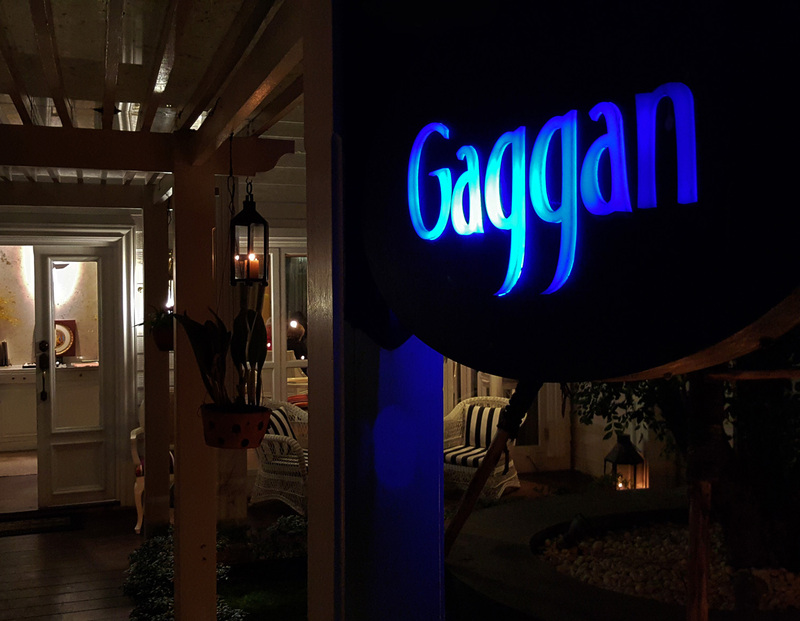 – So we both had “The taste of Gaggan” menu at 2500 baht ( £50 / $71) which wasn`t too bad price for the best restaurant in Asia. 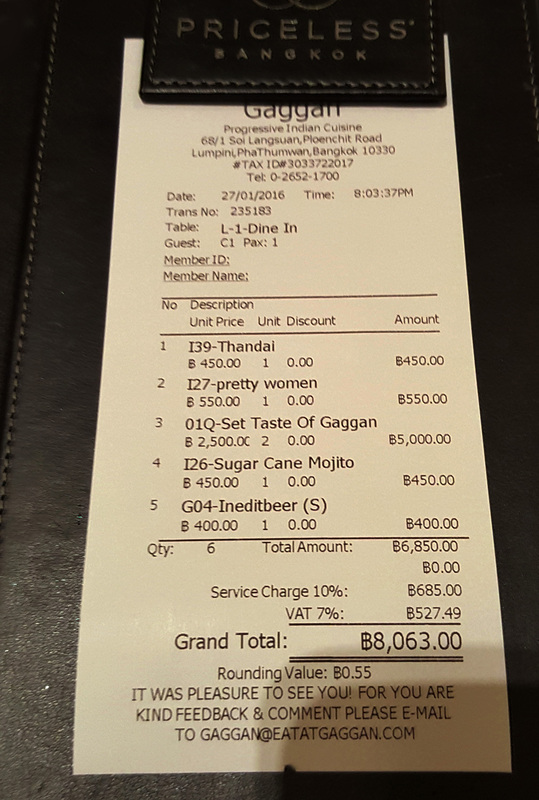 Total bill with drinks and service came to 8,063 Baht (£160 / $230 ). 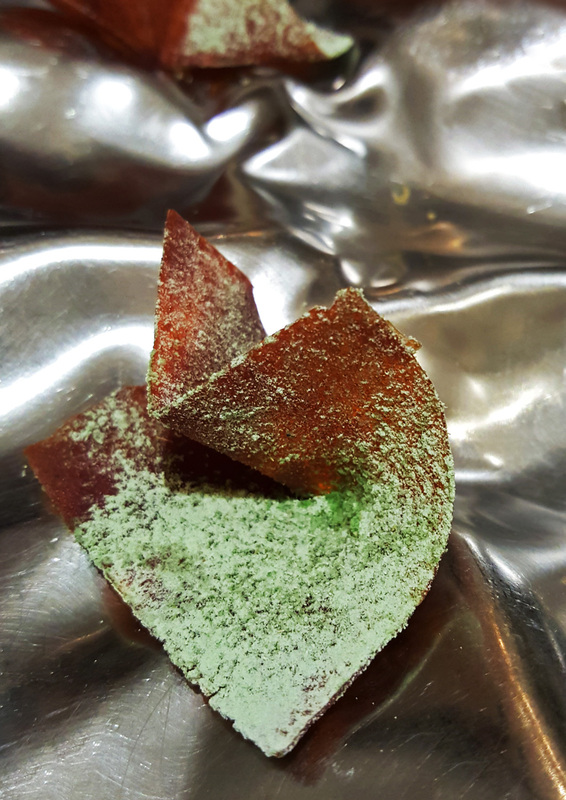 I`ve just noticed on the Gaggan website HERE that since the awards last week there is now only one menu.”The Gaggan experience” priced at 3,500 baht ( £69 / $100 ). Previous Post ” Eat Me ” in BANGKOK …No thanks. Next Post Forest Side , The Lake Districts multi million pound hotel opens.